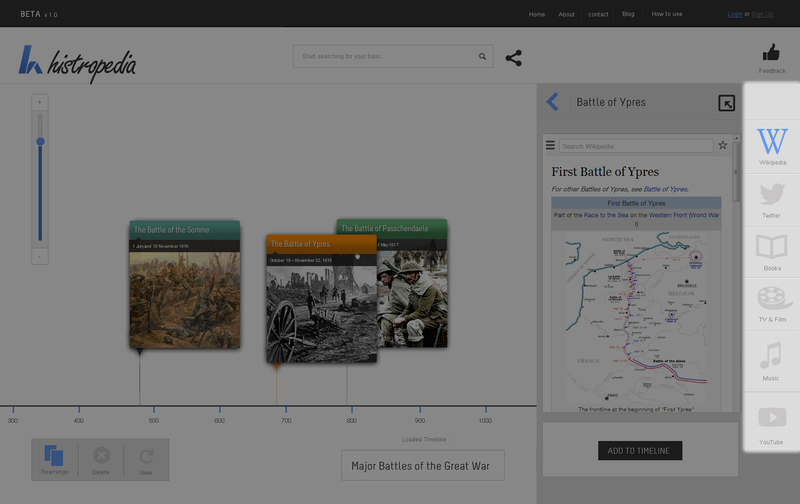 Discover over 300,000 timelines, created directly from Wikipedia categories, straight from the Histropedia search box. Only 5 results are visible at one time so some refining of search terms might be required to find the timeline you are looking for. 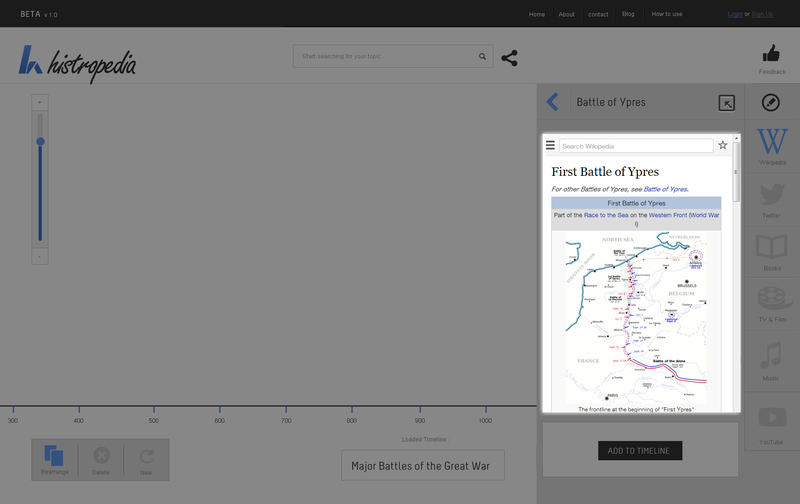 Alternatively you can browse the Wikipedia categories to find potential timelines. 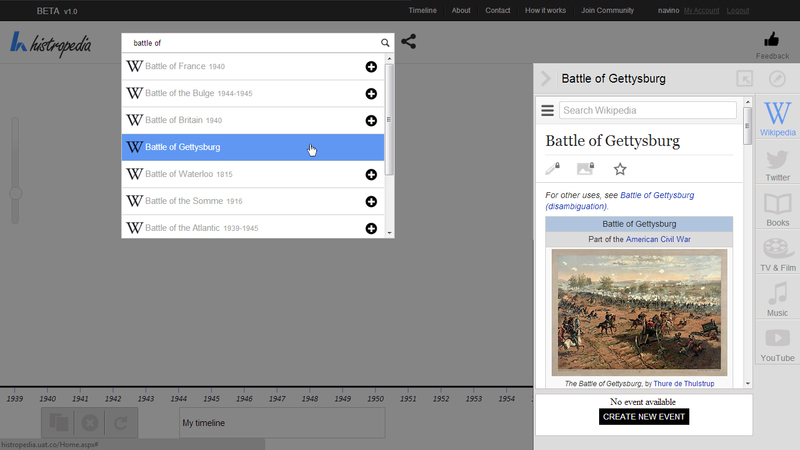 Just copy and paste the category name into the Histropedia search box to see if there is a timeline for that category. 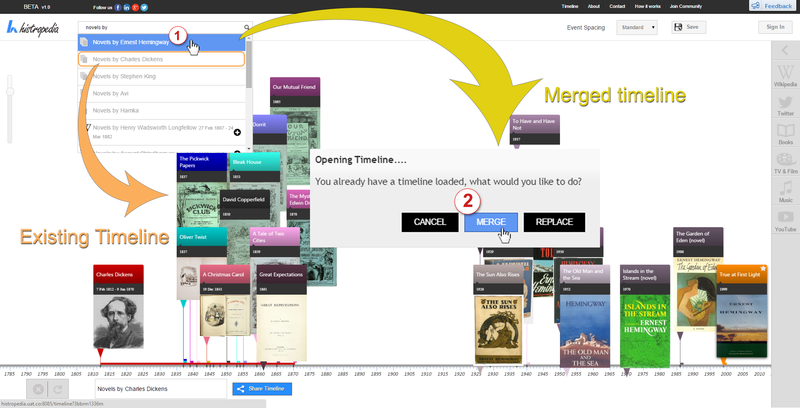 If you already have events on the timeline when you load a new timeline you will be asked if you want to merge the new timeline with your existing events. 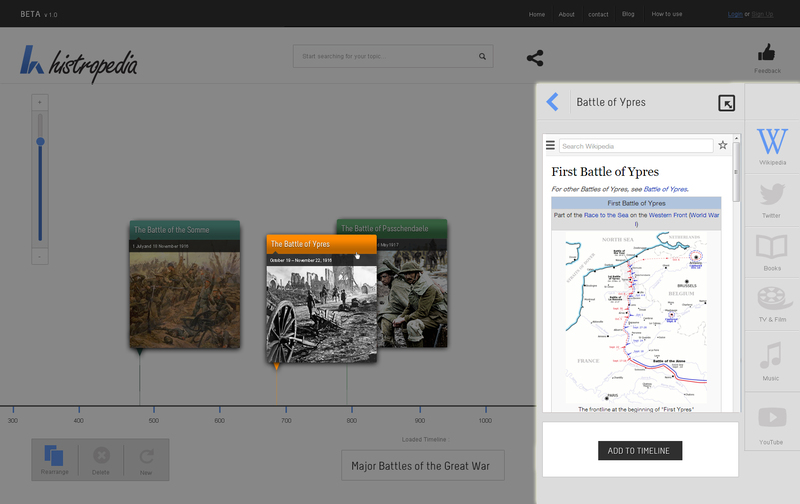 With so many timelines to choose from, combined with the ability to merge timelines, it is now possible to create an almost endless supply of comparison timelines. For exmple you could combine Global conflicts with English poets or Porsche vehicles with Mercedes-Benz vehicles. 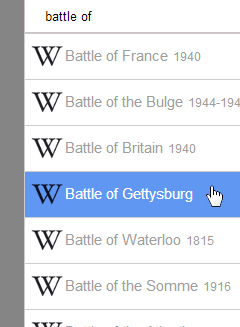 Enter the name of the event you are looking for in the search box, the results will show articles from Wikipedia. 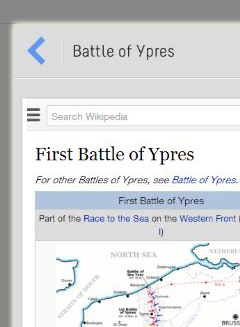 Results with a date and a + symbol in the search result already have an event in Histropedia. 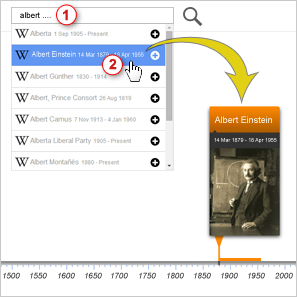 Selecting the search result will add the event directly to the timeline. What if there is no event? 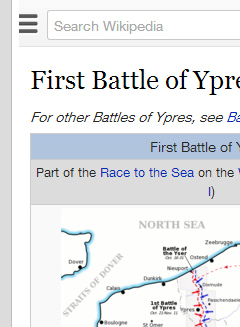 If the search result does not show a date and a plus symbol then there is not yet an event in Histropedia for the Wikipedia article. 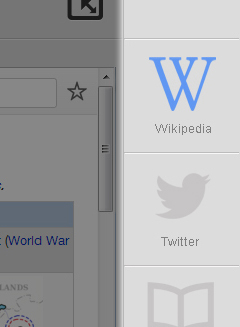 Selecting the search result will open the Wikipedia article in the Reading Window. 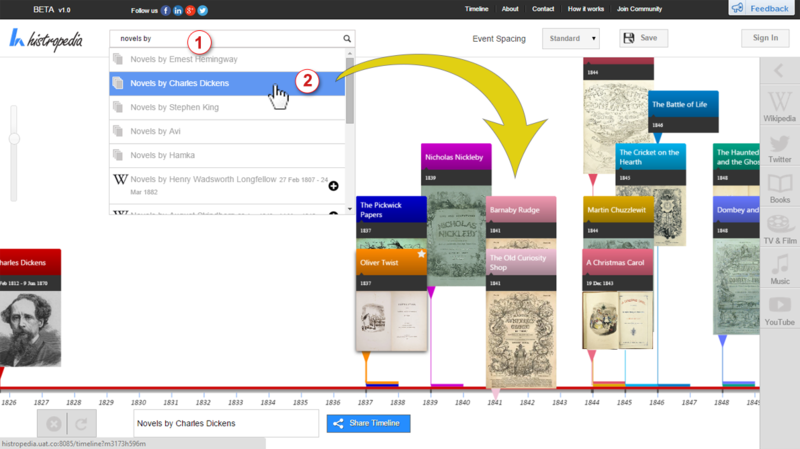 From the Reading Window a new event can be created; once created the event can be added to the timeline. See the Edit section below for more information on creating events. Click and drag the screen to move backwards and forwards through time. 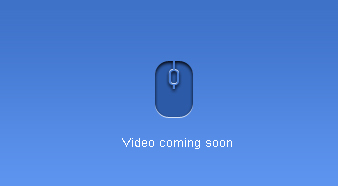 Change the amount of time visible on the screen by zooming in or out using your mouse scroll button. 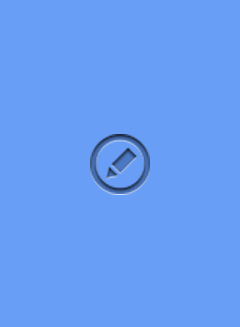 The zoom will be centred on the location of your cursor. 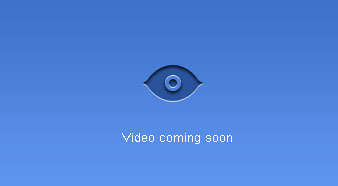 You can also adjust the zoom level using the slider bar on the left side of the screen. 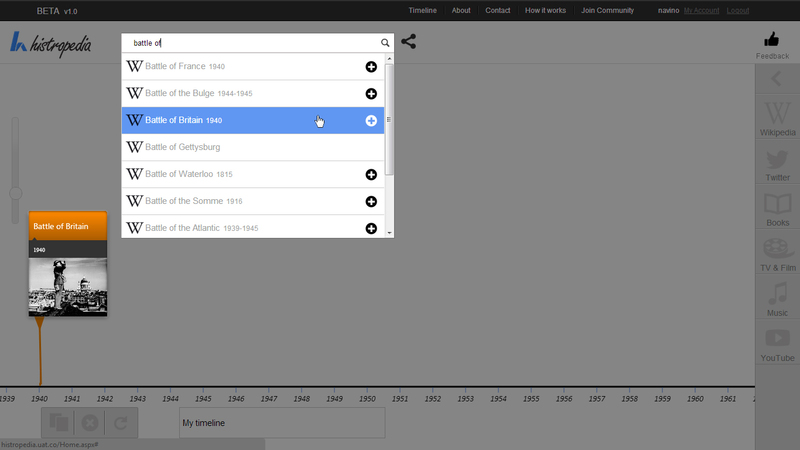 When auto arrange is turned on the most important events will be displayed on the first row of the timeline. 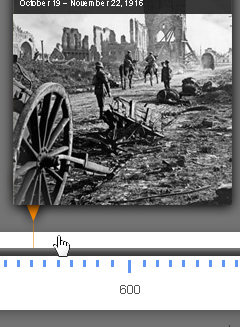 As you zoom in to any period of history the less important events will appear and move down to fill the space created. To keep an event visible it can be favourite using the star button on the event card. When auto-arrange is turned on the selected event will be moved to the first row of the stack (star it to keep it there). You can also click and drag an event to anywhere on the screen. Click to delete all of the events and start a new timeline. You can save a new timeline from the save menu. Select save new and give your timeline a name. You can find a list of your saved timeline in the “My Timelines” section of your user page. 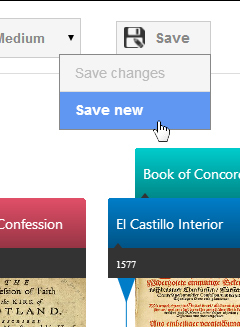 If you have opened one of your existing timelines an option to “save changes” will be available in the save menu. 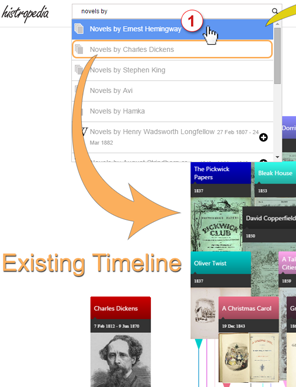 Saving changes will overwrite the original timeline with the current timeline. 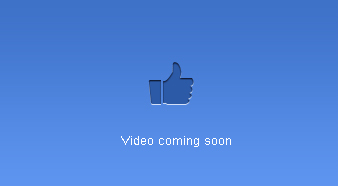 The sharing options can be accessed from the “Share Timeline” button at the bottom of the screen. Choose from the different social media options or copy and the paste the unique URL. 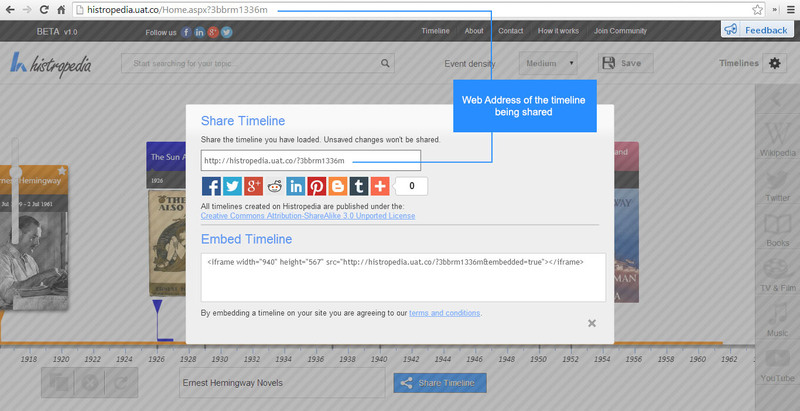 You will be sharing the timeline you have loaded in the URL, so any unsaved changes you have made won’t be shared. 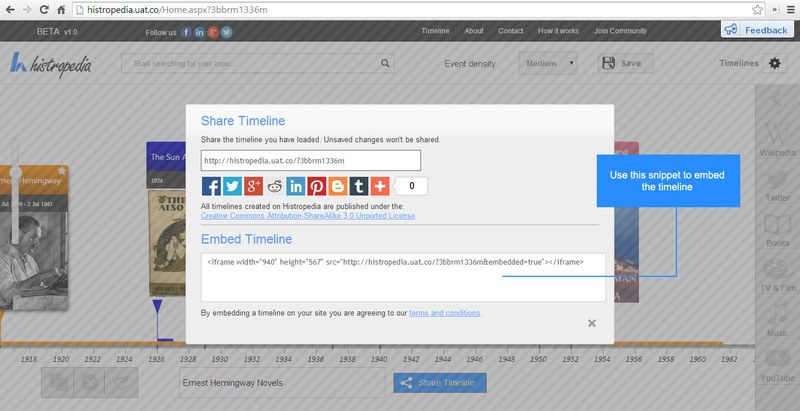 You can find the snippet to embed the loaded timeline by clicking on the “Share Timeline” button on the bottom of the page. 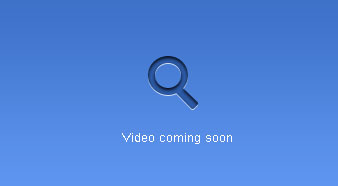 The snippet is a simple iframe which can be added to almost any webpage. The default size for the embed window is 940px wide by 567px high. The Reading Window is always populated by content related to the event you have selected. You can leave the window open and click on different events on the timeline to update the contents of the window. The Reading Window can be opened by clicking on any of the buttons on the right hand side of the screen. You can also open the window by double clicking an event. The buttons on the right hand side of the screen allow you to easily switch between different sources of related content. As you browse the timeline the Reading Window will remain open on the tab you have selected. The contents of that tab will be automatically updated every time you select an event. 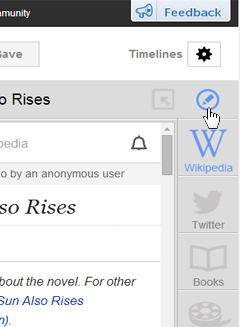 The Wikipedia tab in the Reading Window not only shows you the entire Wikipedia article but also allows you to browse Wikipedia via the search box or internal Wikipedia links. 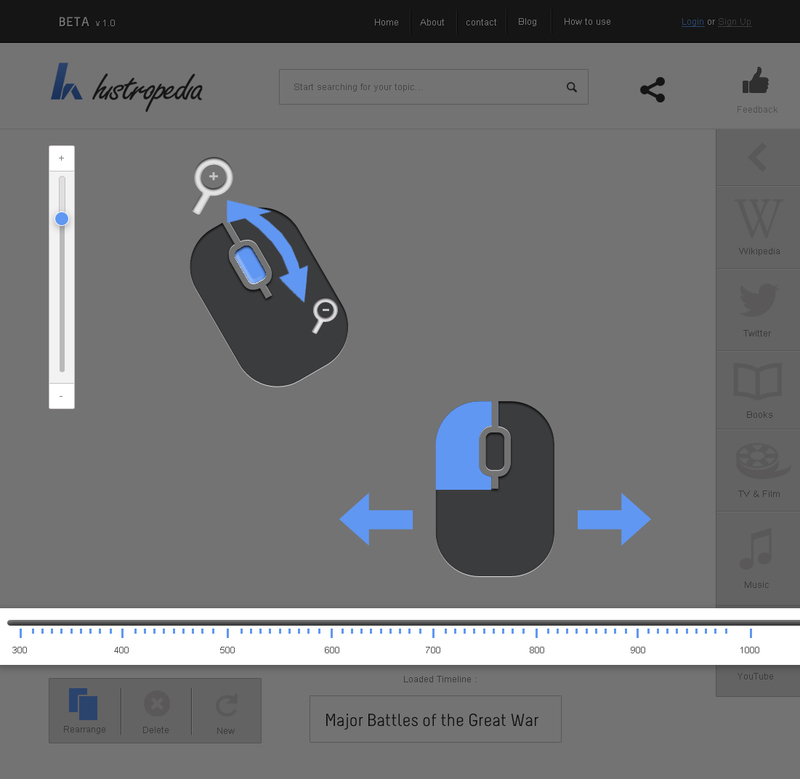 You won't be able to create or add the articles you find by navigating Wikipedia; you need to search for the article in the Histropedia search box to load it. See the creating event section for more details. Histropedia is an open platform that allows anyone to create new events or edit existing events in our database. All edits are global so they will affect everyone using Histropedia, so while we strongly encourage you to start editing Histropedia, we also recommend you take a look at the editing section of our knowledge base before you begin. Seen a mistake, why not fix it? 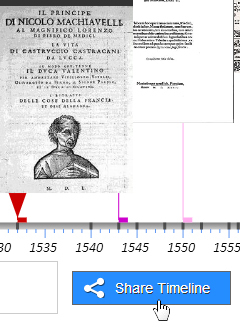 If you find an event that has the wrong date or picture you can edit that event and fix it for everyone using Histropedia. To access the editing window click on the edit icon in the top right hand corner of the screen. Our tireless little helper, Histrobot, will go and check for the latest dates on Wikipedia and Wikidata. You will have the option to use any dates that Histrobot finds. If Histrobot can’t find any dates you can enter them manually on Histropedia. Or even better, help multiple projects with a single edit by adding the dates directly in Wikidata. Any Wikipedia article can be an event! When you search for an event on Histropedia you're actually searching Wikipedia articles, and if you see a result without a + symbol it means you’ve found a Wikipedia article we don’t have an event for yet. It’s really easy to add an event, just click “Create Event” under the Reading Window to open the edit screen. For basic info on how to create the event see the Editing Events section above. 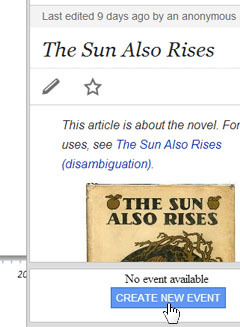 It is important to make sure the title of the Wikipedia article matches the title of the Reading Window when creating an event.